This month John Brown speaks to Virtalent about his branding and communications agency, Don’t Cry Wolf. Hi John, can you please introduce yourself and tell us a little bit about your business? 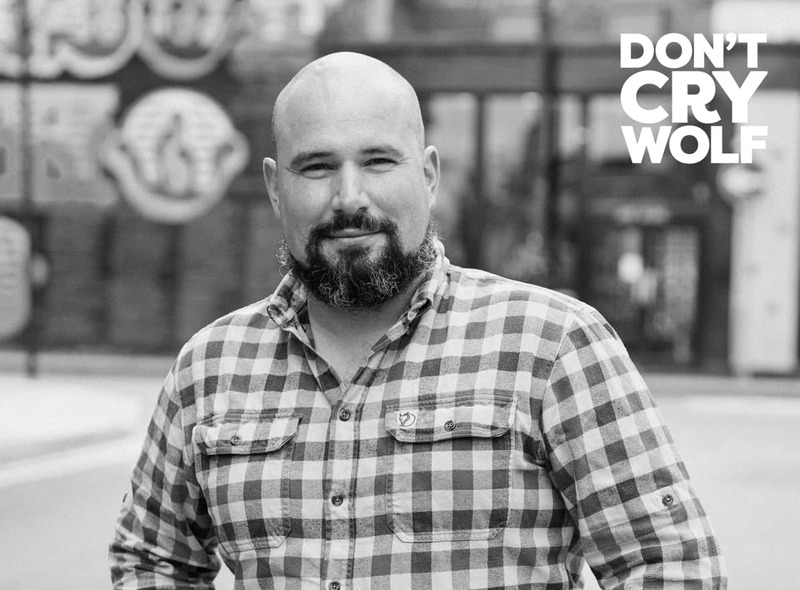 I’m John, founder of Don’t Cry Wolf, a consultancy that looks to help organisations communicate honestly and authentically with their audiences. But, more importantly, I am a dad to my son Freddie, daughter Luna, and husband to my wife and co-founder of the business, Lois. If I’m not barking on about communications and branding I’m usually on a mountain – or in a pub at the foot of one. So assuming you aren’t up a mountain, what does a typical day look like for you? It’s massively varied. We work across three key disciplines; branding, training and creative campaigning. So I might spend the morning leading a workshop to help an international payments business discover what their purpose statement is for their brand. In the afternoon I might be training a bunch of people on how to manage the social media channels of their charity. Meanwhile, my team will be executing a marketing campaign for the launch of a new bar or leading a focus group for a children’s charity. The one thing that is consistent in all of this is spending time with people who are looking to improve the way they communicate. It certainly sounds like your days are very varied. What was is that made you want to work in this industry? I wanted to work in an industry where I get to interact with people smarter than me and work with them to do some extraordinary things. Communications is the perfect marriage of creativity and people and, because I am impatient, you can quickly see the fruits of your labour. That must be very satisfying! Tell us about the biggest challenge you’ve faced since starting your company. Maintaining focus. We’re still definitely a start-up consultancy and every day we’re presented with an opportunity to go in a different direction, explore a new business stream or try out something new. The problem is that too many distractions result in not doing anything particularly well. So, for someone like me, who is easily distracted and loves the latest shiny-shiny, keeping a level head and sticking to my plan and path can be a challenge! Well hopefully Lisa, your Virtual Assistant, is helping keep you on track! What is your vision or long-term aim for the business? To show the communications and marketing world that you can have a conscience and a net-positive impact on your community, the environment and the welfare of your employees and still turn a nice, healthy profit. That is very inspiring and we look forward to seeing you achieve that. How did you hear about Virtalent? A few Google searches revealed some excellent recommendations and so I got in touch. And we’re very pleased you did! What tasks and projects have we been supporting you with? We have been very lucky to have our VA, Lisa, on board. She has helped with everything from diary management to travel arrangements, booking personal engagements and even a bit of party planning. She is a hero.